I graduated in 1998 with a Bachelor of Science in Medical Technology from Michigan State University. I then went on to pursue my graduate studies at Michigan State University College of Veterinary Medicine, earning my Doctor of Veterinary Medicine degree in 2002. 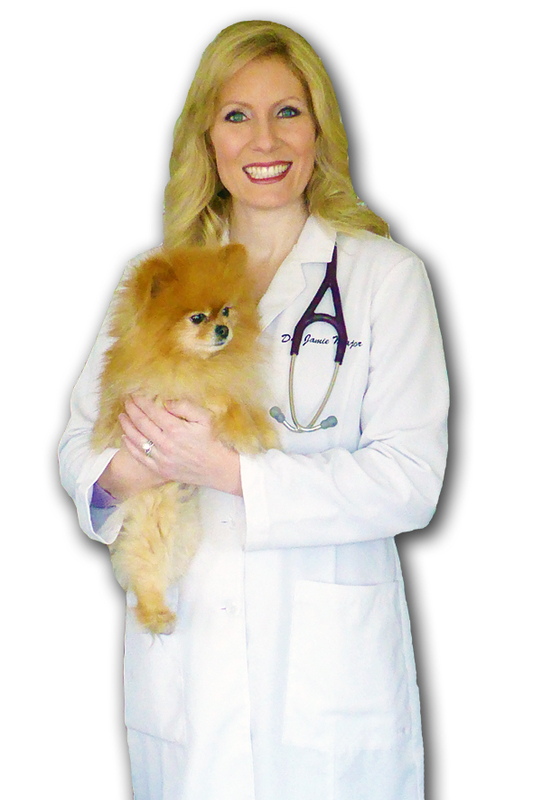 I began practicing at a large, very busy multi-doctor practice in Warren, Michigan concentrating on small and exotic animals for several years before joining the Companion Animal Clinic team in December 2004. I officially purchased the practice in 2015 and pledge to continue to practice the highest standard of medicine that our clients have come to expect. I provide compassionate care to my patients, treating all pets as my own. I am open and honest with my clients. Given the opportunity, I hope to instill confidence in my high-quality veterinary services, and form a trusting relationship with those that I serve. In my spare time, I enjoy canoeing, hiking and spending time with my husband, Ted, our children, and our dogs. We have a mixed-breed rescue, Bama, aka “The Mouth of the South”, and a new addition, Phoebe, a feisty Pomeranian puppy with an angel face and an “evil” streak. We will always hold the memory of our little Daphne, the sweetest little Pomeranian, in our hearts.